Sometimes, we find some really cool titles that aren't on the show floor for everyone to look at. In one of the small meeting rooms at the back of the West Hall, I sat down to discover what is coming next for the Ys franchise. 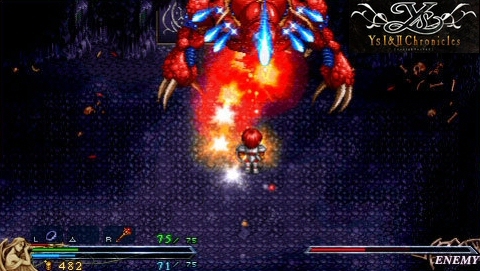 The Ys series has been around since 1987 and has since become important in the formation of RPGs. 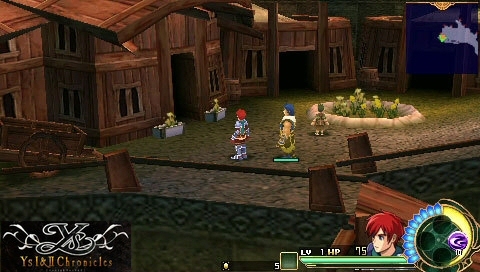 This time, Falcom brings their own version of the games to the PSP: Ys I & II Chronicles, Ys: The Oath in Felghana and Ys Seven. 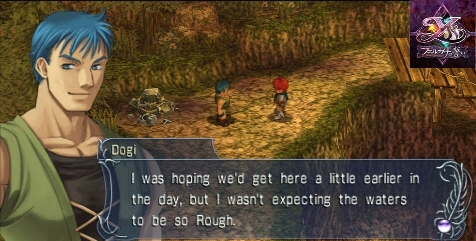 Of course, all games star our typical silent hero, Adol who always manages to wash up on shore somewhere after a ship wreck. 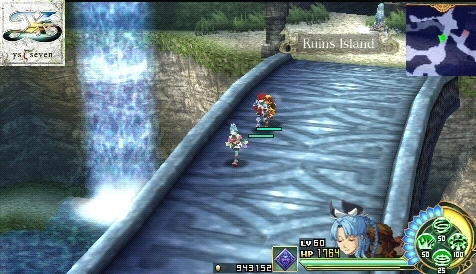 YS I & II Chronicles is an action/RPG that obviously bundles both Ys I and Ys II under a single package. 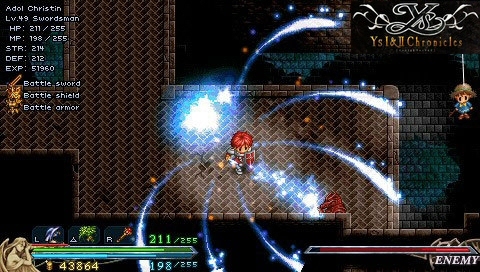 Ys II is a direct sequel to Ys I, and Ys I is absolutely necessary to understand the story in Ys II, so that's why they have decided to compile the two games into one title. 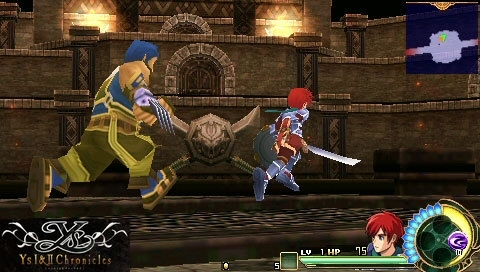 In YS I & II Chronicles you control one character at a time, switching between the members of your party at will. The other two will be A.I.-controlled, but they will be the unobtrusive kind of A.I. - the kind that doesn't get in your way, doesn't get killed for stupid reasons, doesn't use items, doesn't attack unless you do. 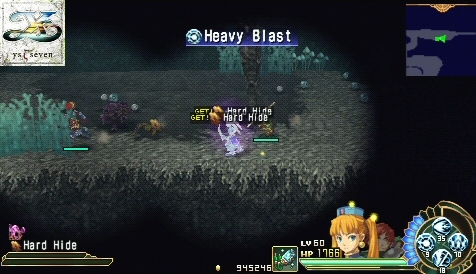 Aside from the hack and slash, you can dodge/roll out of the way of enemies. There is a skill system but it's related to your weapons. Each weapon has a specific skill, and the more you use it, the better you become at it, and you will level that skill up. You can map up to 4 skills at once, but you must accumulate SP to use them, which you earn by attacking. Each character also has an extra skill, a special attack if you will. The dungeons have little gimmicks, such as wind pillars that propel you up to higher levels; however, you can only use these if you have the Wind Cape equipped. Different gimmicks require different items to be used. 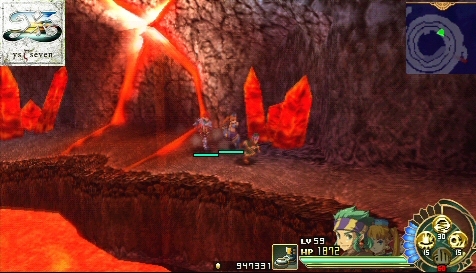 Other neat features for Ys I & II include the ability to save anywhere, warp/save points, a retry system that also applies to boss fights, fully configured controls, crafting, and townspeople with personalities. Ys I & II is an old-school, straightforward action/RPG that makes fun of itself on occasion, and should be welcome by fans of the series or RPG fans in general. 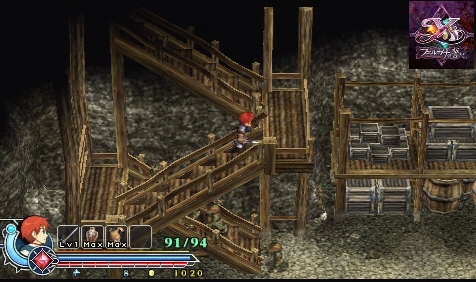 Next, I looked at Ys: The Oath in Felghana. This is basically a re-imagined, Ys III remake celebrating the 20th anniversary of the title, and containing the same story but a very different type of gameplay, as it is now a hack and slash. Some of the areas will be inaccessible until you obtain special abilities (i.e. : double jump). There are no healing items at all, and heals will be dropped from enemies as you defeat them and consumed instantly as you pick them up. This definitely adds more complexity and a strategic element to boss fights, since you must use them wisely. The Oath in Felghana is a fun, fast-paced game, with great soundtrack, little loading and fully voiced cutscenes. 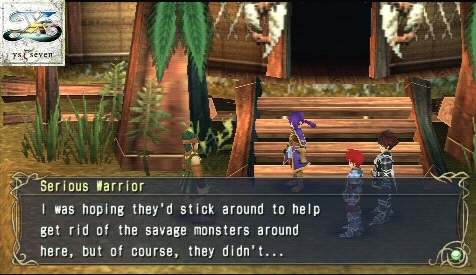 Except for Adol, of course; the narrator will speak for him. A new prologue has been added, and players can also enjoy an art gallery and a movie gallery. 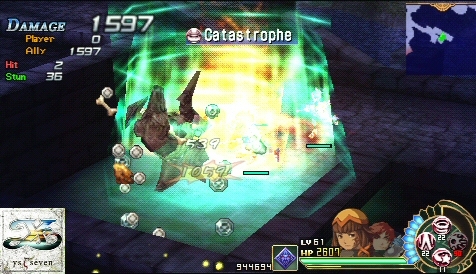 To make the game more user-friendly, there are ample save points, unlimited retries on bosses, and 7 difficulty levels. In fact, if you fail several times at a particular boss fight, you are allowed to pick an easier difficulty for your next retry. 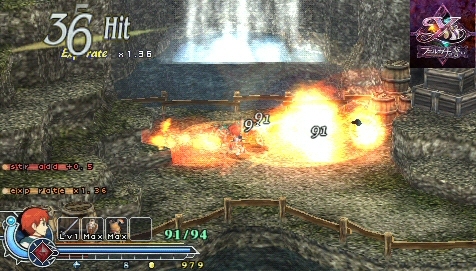 Last but not least, and since our time was coming to an end, a quick look at Ys Seven, which has been built from the ground up. 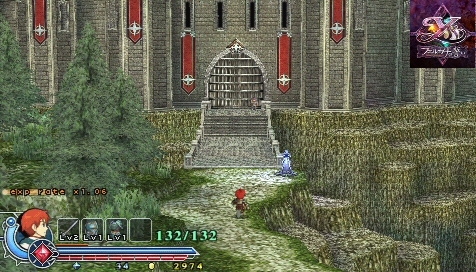 This is the next chapter in the Ys series, a long-awaited release since the last game, published 5 years ago for the PS2. Again an action/RPG, the major differences here are the orchestrated (not synthesized) soundtrack, an original battle system, and updated 2D graphics with plenty of little details. 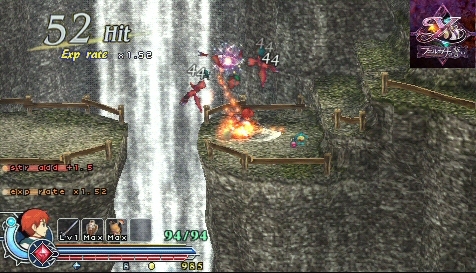 The enemies are visible on the map, and combat is done by a "bump system". There are no random encounters, and you can just bump into an enemy to enter combat in real time. You can also expect characters with depth and plenty of plot twists. 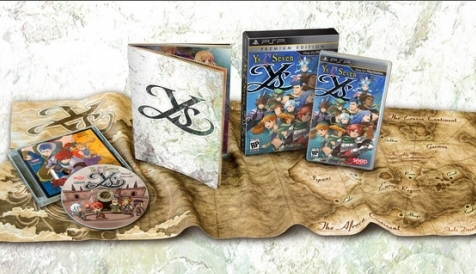 Ys Seven ships in August 2010, Ys: The Oath in Felghana has a November 2010 release, and Ys I & II Chronicles is coming in January 2011, and all seem portable-friendly enough. Three great RPGs to have on the PSP!